Nasal septum, a structure which contain bone and cartilage and it's covered with mucosa,Nasal septum is divided into two vertically separated the nasal cavity. If there is a curvature that can be seen in this structure due to birth or later trauma, it is called "nasal septum deviation" or "nasal septal deviation" (links you can find detailed information >>​ ​​Septoplasty in Istanbul and Açık Teknik Septoplasti Ameliyatı). In patients with nasal septum deviations, airway resistance increases on the side on which it is deviated (ie, on the side where the septum convexity is located), and the entry and exit of air becomes more difficult. For this reason, patients may experience nasal congestion, mouth open inhalation, and many related symptoms. The nose is like a purification, heating, humidifying motor that makes the air taken from the outside fit the lungs. It is not just the lungs that this device becomes clogged and unable to function due to very different reasons, such as deviation, nasal growth, nasal polyp, allergic rhinitis, or nasal enlargement; can indirectly affect the functioning of all of the cells in our body by reducing blood oxygen levels. For the purpose of nasal septum deviation treatment, the general practice of the operations is to "remove curved cartilage areas that close the airway in the nose without altering the nasal anatomy, without disturbing the nose support". Why The Open Septoplasty Is Needed? The classical nasal cartilage curvature correction operations are done with closed technique, ie in the nose. Especially in the case of the inferior part of septum (caudal septum) deviation it is more convenient to do this with open technique. 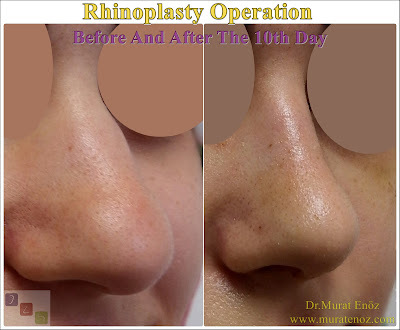 Roughly, the reason for this can be explained as follows:If the caudal septum section, which is very important for nasal tip support, is removed with closed technique septoplasty, the nasal tip support can become as weak (even the patients say "my nose tip is changed as "soft" after nose surgery"). In order to reconstruct the nasal support, the procedure is performed with open technique. The graft is prepared from the flat parts of the posterior side of the septum to replace the caudal septum (columellar strut graft) instead of the caudal septum and the nasal tip is reattached. Surgical Details About Open Septoplasty? Open technique septoplasty begins with a five-point incision on the columella, located between the nostrils, such as open technical nasal aesthetic surgery. The procedure can be performed under local, sedation anesthesia or general anesthesia. Unlike conventional closed-technique septoplasty, there is no need for additional incision (Killian incision) on the septum in the nose. Only the nose skin is lifted and the nose septum is made visible. Cartilaginous cartilaginous tissue at the nose and at the posterior side is removed. New support cartilage grafts are prepared (strut graft) at the tip of the nose, and the procedure is terminated after the skin sutures are implanted. After the procedure, I usually prefer to place silicone nose splints that allow breathing and do not stick to the nose hairs. How Long Does Open Septoplasty Operation? While conventional closed technique septoplasty operation lasts 15-30 min, open technique septoplasty can last 45-60 min. 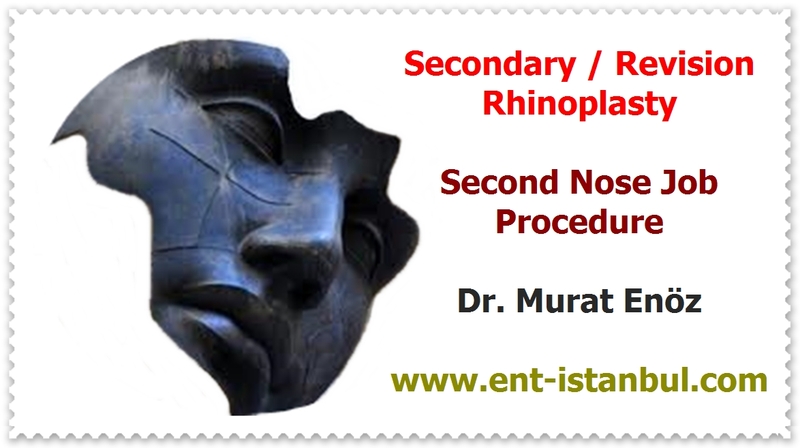 The cost of open septoplasty in İstanbul can vary depending on the patient, whether or not there is turbinate radiofrequencey procedure that can be done together, and the length of the procedure. The cost of the surgery can range from 2000 to 3000 Dollars. Do You Have Bruise on Your Face After Open Septoplasty? In this surgery, the nasal bone is not broken, it is not expected to be bruise or excessive swelling. However, only edema extending from the nose tip to the adjacent cheek area can be seen. I suggest walking in the cool air in the afternoon and using arnica gel for the nasal drops. If the septum deviation of the nose is limited only to the front part, if the no additional nasal surgery done with it, the open technical septoplasty operation can be done without the buffer. Genellikle hastalarda, deviasyona eşlik eden burun eti büyümesi olduğundan, işlem esnasında, ilave olarak turbinate radiofrequency ameliyatı da yapılabilmektedir (you can see details about turbinate radiofrequency at this link >> Radiofrequency Turbinate Reduction in Istanbul). After open technique septoplasty, swelling may occur at the tip of the nose in the first week and edema rapidly decreases after the first week. Most of the patients can return to their normal jobs after 7 days.